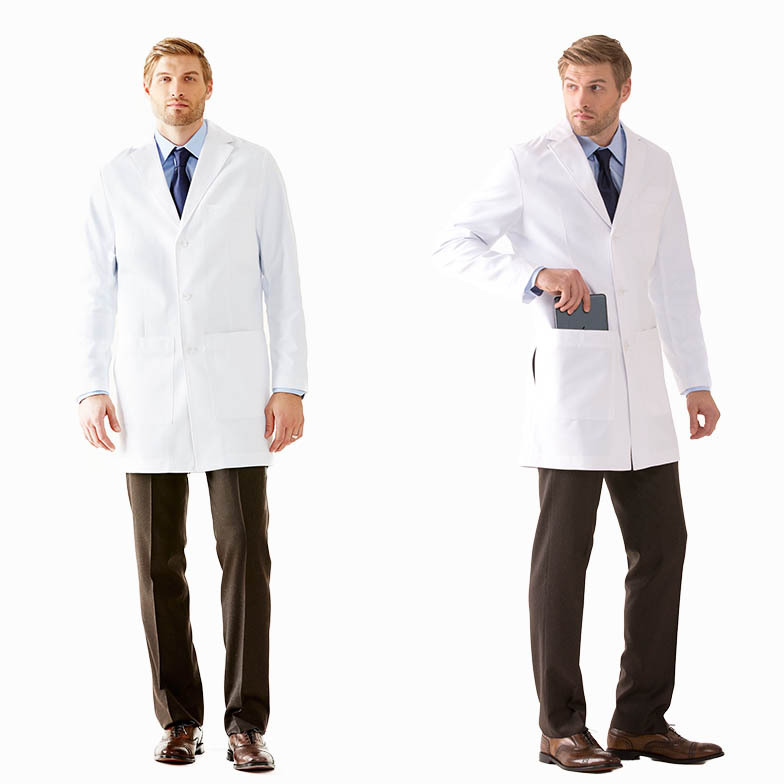 When Is A Lab Coat Like A Suit? 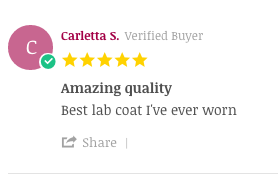 When the lab coat in question is the Medelita Classic Fit M3 Laennec coat. With designer details like notched lapels and meticulous seaming, the Laennec is a three-button lab coat (previously a four-button coat) with the distinguished fit of a suit. 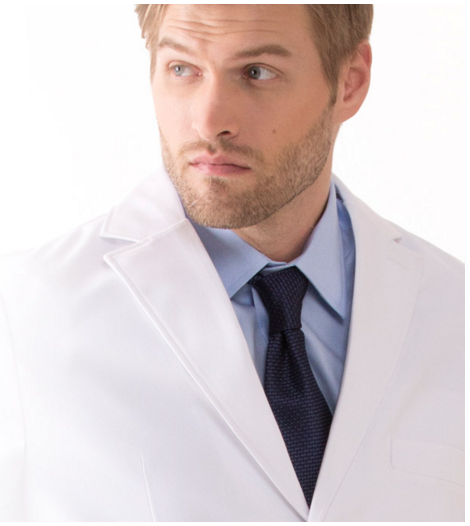 The Laennec is a classically designed lab coat that is truly reminiscent of a men’s blazer or suit jacket. The ergonomic tailoring through the shoulders allows for your full range of movement, while the moisture wicking M3 performance fabric keeps you cooler and drier than than any other lab coat fabrics. Fluid, stain, and fade-resistance ensures that your coat will stay a bright white color – for the perfect lab coat that blends style, comfort, and durability. 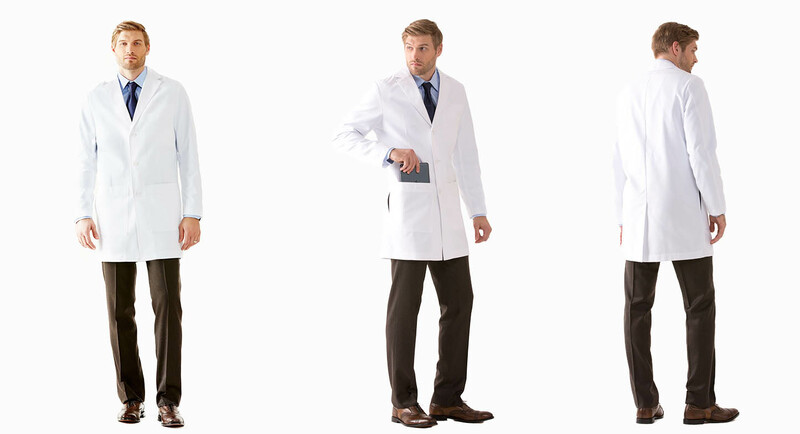 Explore the Laennec Lab Coat and other men’s lab coat styles for a look that gives you a professional appearance befitting of your stature. This entry was posted in Collared Lab Coats, Lab Coats, Men's Lab Coats, Physician Coats and tagged lab coats, Laennec, M3 Fabric on February 4, 2016 by Ariel Jacoby.